The process of exchange control liberalization began in the mid-nineteen-nineties when commercial banks were granted delegated authority to approve payment for several trade transactions which hitherto required the prior approval of the Central Bank. The pace of liberalization was accelerated over the last five years so as to enable Barbados to meet its obligation under the Caribbean Single Market and Economy CSME). 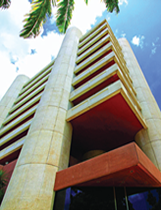 The Guide to Exchange Control in Barbados has been prepared by The Central Bank of Barbados.